Juvenile Judge Sharon E. Guffee is the presiding Judge. Effective Jan. 1,2013, she is the first judge to have sole juvenile jurisdiction. Cases are also heard by part-time magistrates who are attorneys who are appointed by the Juvenile Judge to hear juvenile cases. Juvenile Services has 26 full time employees and numerous variable hours employees. In addition to Juvenile Court, Juvenile Services operates the Detention Center and the Alternative Learning Center. The Youth Services Officers (YSOs) manage and process all of the unruly, delinquent, and dependent and neglect cases through the juvenile justice process. Each case is assigned to a YSO. The Juvenile Detention center is a 12 bed secure facility that houses youth under the age of 18 who have been charged with a delinquent or unruly offense. Youth are held after charges have been filed and pending a detention hearing or an adjudicatory hearing. Williamson County also contracts with surrounding counties who do not have a detention facility. The Alternative Learning Center operates under an interlocutory agreement with the Williamson County School System and the 9th Special School District (Franklin City). Students who have allegedly committed a school related offense may be referred to the ALC by the home school in lieu of suspension or expulsion. 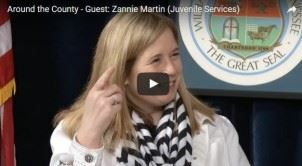 What type of cases does Juvenile Court hear?